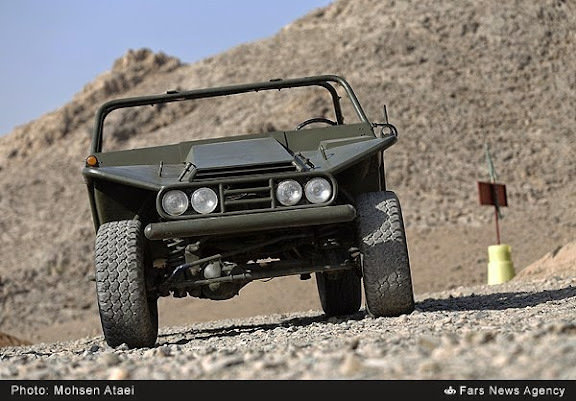 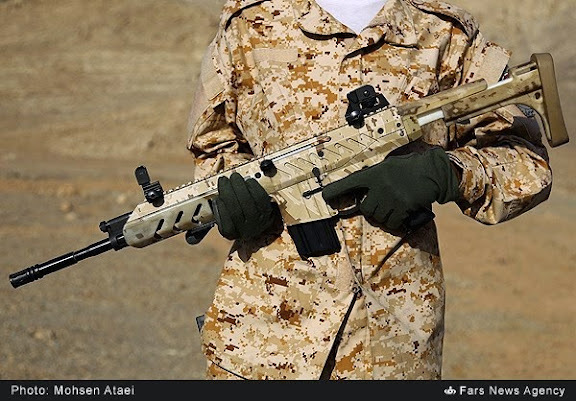 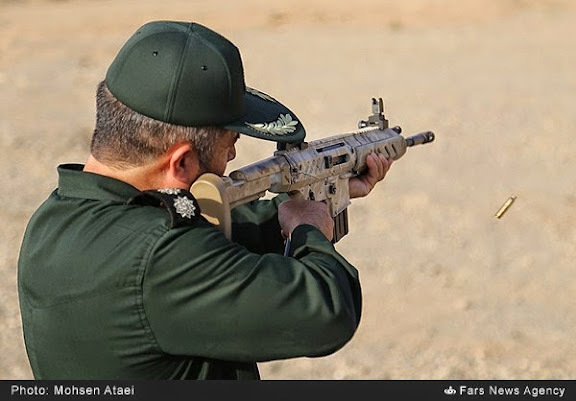 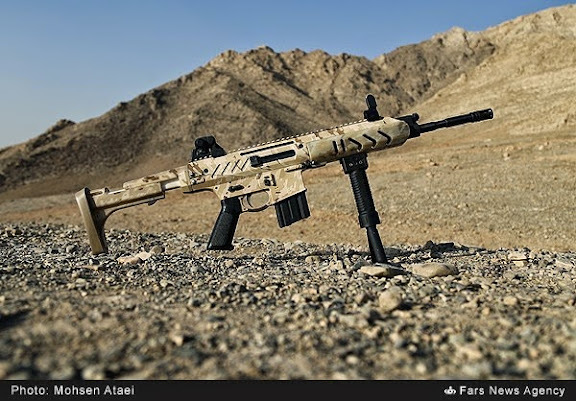 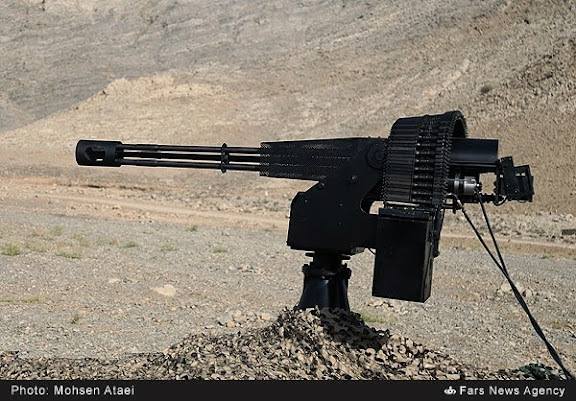 Mashregh News Agency reports new Iranian-built tactical weapons tested by IRGC-GF. 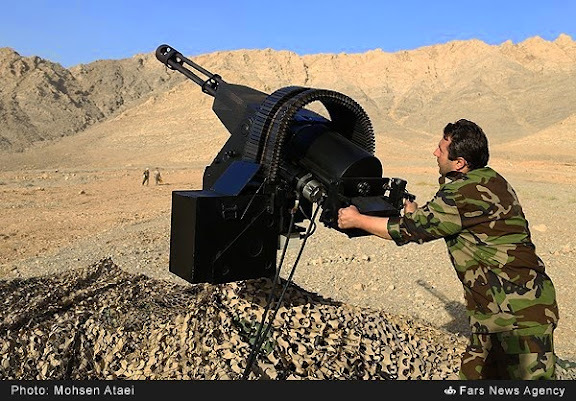 Above: Asefeh 23x115 mm three-barrelled, Gatling-style cannon intended as a CIWS. No photo provided by Iranian media but publicly disclosed is Remit AT mine system. 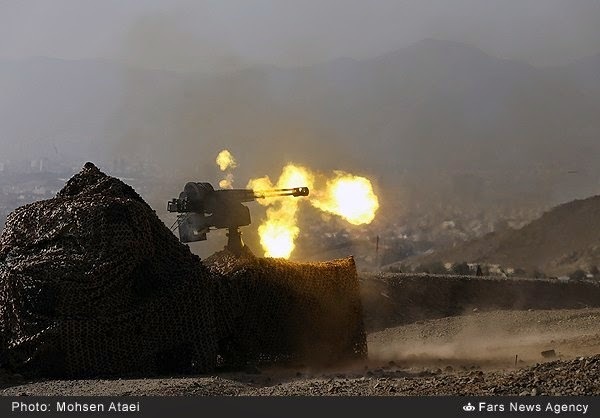 Remit claims to be remotely activated and "capable of destroying an armored column within a radius of 100-150 meters." 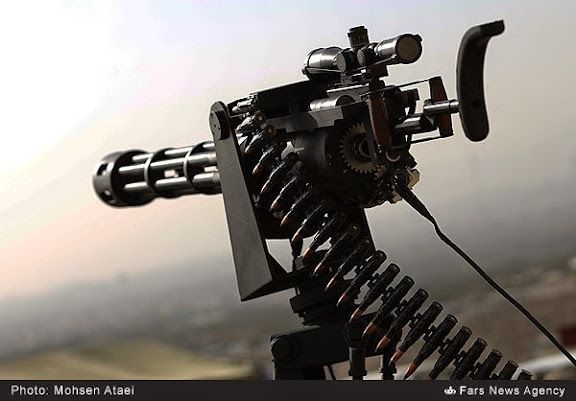 Quite an uptick in Iranian defense reporting with the escalation of U.S. military involvement in Syria and Iraq. 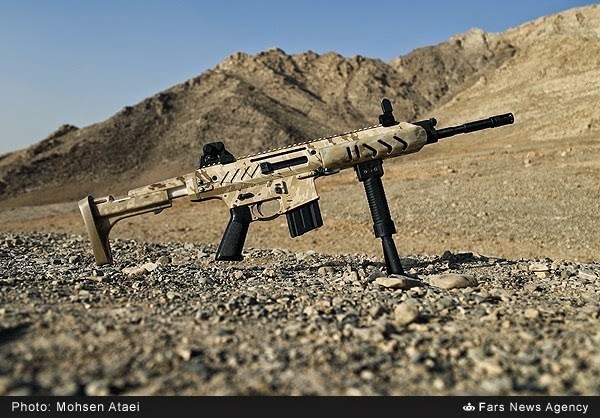 That new assault rifle looks wicked! 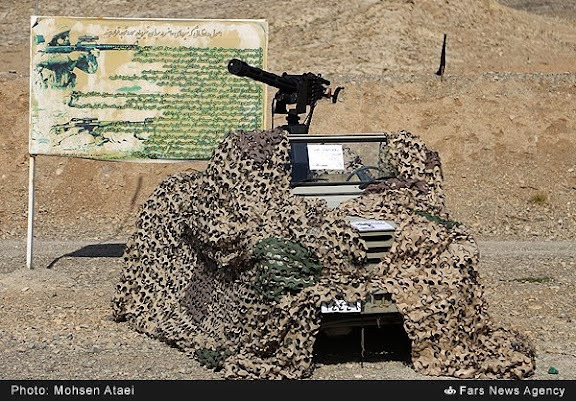 Why are the guns pitch Black, yet the vehicles camouflaged?